Hello! This week is the sweetest week ever for me. The 2nd periodical exam of my son is finally over and we already know the result. Then I've been meeting some friends through online and by blog-hopping. Yay! This is really great my Mylot also earn almost $7 dollar in just a short period. And to top it all I've been invited to join a contest by a fellow blogger; EJI of http://wildandkinkyfettish.blogspot.com! 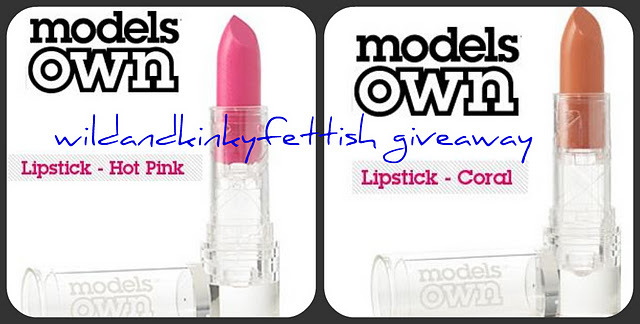 So simple to join and it is open to international, 2 winners will receive one of each lipstick by models own! That's so awesome! Hope you win! ooo good one!!! nice find. Thank you so much for your sweet comment! !Of courseI follow you back!